Perfect time to kick off that Holiday Shopping! Score a FREE $10 Amazon Toy Credit when you purchase $75 worth of Games and Toys. This deal ends November 17, 2017 Eligible toys and games must be SOLD BY AMAZON ( not by a 3rd party). If you qualified youll see the following message on the last page of checkout "Congratulations! 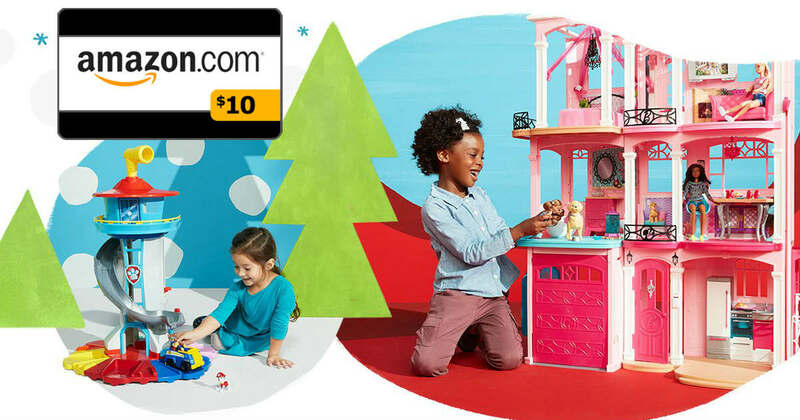 Your order qualifies for a $10 Amazon.com credit to spend on select Toys and Games"
An e-mail containing redemption details will be sent to 2 days after the purchased eligible order ships. The promotional credit can be redeemed on eligible Toys and Games products from Amazon.com. Offer only applies to products sold by Amazon.com or Amazon Digital Services LLC (look for "sold by Amazon.com" or "sold by Amazon Digital Services LLC" on the product detail page). Product by LEGO, American Girl, Anki and The Elf on the Shelf are excluded from the promotion. Products sold by third-party sellers or other Amazon entities will not qualify for this offer, even if "fulfilled by Amazon.com" or "Prime Eligible".